If you know me then you know I love a Gin & Tonic. It's just one of the wonderful things that my British husband has introduced to me. Crisp and refreshing, over ice with a twist of lime. Yes, please. We were walking through Heathrow recently and passed a Bombay Sapphire pop-up experience. Two thought bubbles appeared above my head. "Are they seriously just giving drinks away?" and "can you really get away with drinking before breakfast when you're in an airport?" Let's just ignore the second question for now. The answer to the first question was "yes, but first put on these VR glasses and take a quick virtual tour of our award winning distillery." 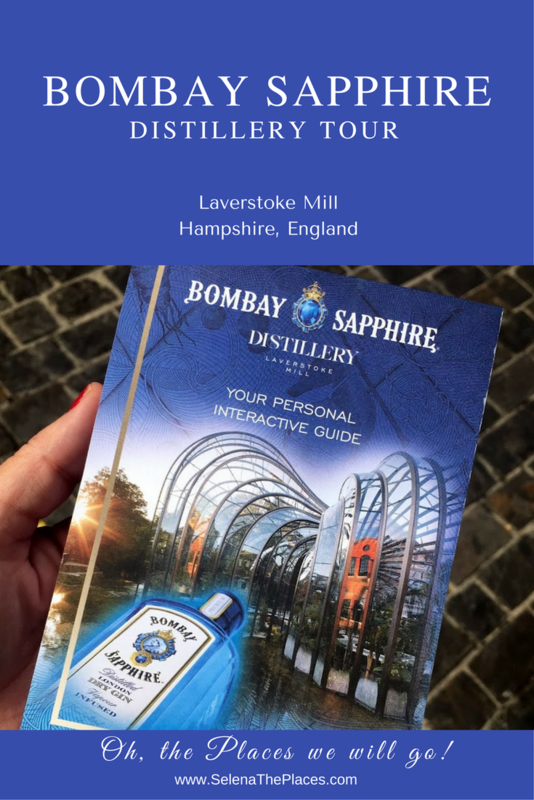 Between the virtual tour and the breakfast cocktails, we were convinced enough to visit the Bombay Sapphire Distillery in real life at the next opportunity. Bombay Sapphire is our usual gin of choice and a regular duty free purchase for us when we travel. The iconic blue bottle with the gold seal featuring Queen Victoria harks back to the colonial days of the British Empire. I was surprised to learn that it only launched in the late 1980's. They've recently moved to a new home in the Hampshire countryside along the crystal clear water of the River Test. For over 1,000 years a water-powered mill has been on this site. The updated Laverstoke Mill beautifully blends the old with the new. The British designer, Thomas Heatherwick (who helped design the new London Bus) and his team at Heatherwick Studios took on the task of renovating the 250 year-old Mill into a state of the art distillery. While Bombay Sapphire may be a more recent addition to the bar shelf, gin has been around for hundreds of years. Its first recorded production dates to 17th century Holland where it was sold as a medicinal. During the Thirty Years' War, Dutch soldiers were given a swig to get them through, hence the term "Dutch Courage." The British soldiers caught on and brought it back to Old Blighty where it quickly caught on. It's now England's national spirit and most good gins come from the UK. Gin starts out as a neutral grain alcohol that is then re-distilled with botanicals to give it flavor. The primary botanical used was Juniper. Eventually, distillers started using a larger variety of berries, barks, seeds and peels. Each brand of gin will have a very distinct flavor depending on the variations. Because of this, mixologists love to create recipes with gin. It's a spirit that's meant to be used in cocktails and most of the classics are gin-based, such as the Gimlet, the Tom Collins, the Singapore Sling and the original Martini. Let's not forget my favorite. "Bombay Sapphire lengthened with Fever-Tree tonic water and a squeeze of fragrant lime - bright, refreshing, uplifting & divine. The ultimate expression of that quintessentially English classic, the G&T." Divine, even. Bombay Sapphire is based on a recipe developed in the 1700's using vapor infusion rather than just boiling the botanicals with the alcohol. It is infused with a blend of ten botanicals and they've showcased them beautifully at the distillery with these two glasshouses. The shorter glasshouse replicates the warm, humid air of the tropics. Here you will find living specimens of the (cinnamony, is that a word?) Cassia Bark, (zesty) Grains of Paradise, (sweet) Liquorice and (peppery) Cubeb Berries. The taller of the two glasshouses replicates the dry, harsh Mediterranean climate and contains examples of the other six botanicals in Bombay Sapphire. (Nutty) Almond, (tart) Lemon Peel, (earthy) Angelica, (fragrant) Orris Root, (citrusy) Coriander and (piney) Juniper. The glasshouses are evocative of the infusion process used in the production of Bombay Sapphire Gin. The metal and glass flumes rise up and flow into the still house, infusing the flavors and aromas of the ten botanicals into the structure. All of these flavors combine to produce a light, crisp gin with a slightly floral taste. We all know that flavor is 90-95% smell and not taste. Next stop is the Botanical Dry Room which showcased the aromas of the ten botanical used in Bombay Sapphire. We were given an aroma map and instructed to follow our nose. We roamed the room uncorking various glass jars and taking a whiff. Some of the reactions were priceless. I should have taken photos of all of the faces. There are about 25 different jars. If you like what you smell, use a hole punch to clip the corresponding number on your aroma map. The map is divided into Pine, Spicy, Earthy, Floral and Citrus. Each of us had completely different profiles, as you would imagine. We were instructed to select about seven smells that we liked. I had about 10 numbers punched and they were all over the map. We put our Aroma profiles away for now, they come back into play later. Next on the tour is a guided walk through the Still House to see that beautiful infusion distillation process in action. However, you'll notice that I don't have any photos of the Still House and I can't really even tell you much about it. Two reasons. 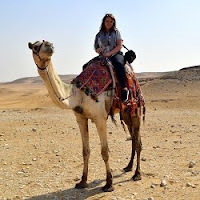 I didn't have the appropriate footwear. I was wearing sandals so wasn't able to enter the Still House. Health & Safety and all that. We booked our tickets online and it was mentioned on the website but I missed it. (no high heels either). I did ask Matt to take some pics, but no photos are allowed inside the still house. I had to wait while Matt, Mom and Bob enjoyed the 1 hour tour. I consoled myself in the Mill Bar with my complmentary cocktail. Not so bad, really. After handing my hole-punched Aroma Map to the Gin Expert, he declared that my ideal cocktail would be The Laverstoke. Not being one to argue with an expert, I concurred. This "modern day classic" includes Bombay Sapphire Gin, vermouth, elderflower cordial, lime and ginger ale. It was garnished with a sprig of mint and a sliver of ginger root. Very tasty and refreshing. My family later joined me and sat down for their own expertly selected cocktails. It would have been rude not to join them, right? "The Ultimate G&T for me, please!" The distillery is open 7 days a week and tickets should be purchased in advance online. We paid £15 for the self-guided tour which includes a complimentary cocktail. Plan on spending 1-3 hours. If you're the designated driver, don't worry. You can grab a complimentary takeaway Gin & Tonic pack from the Gin Shop. What do you think about gin? Yea or nah?